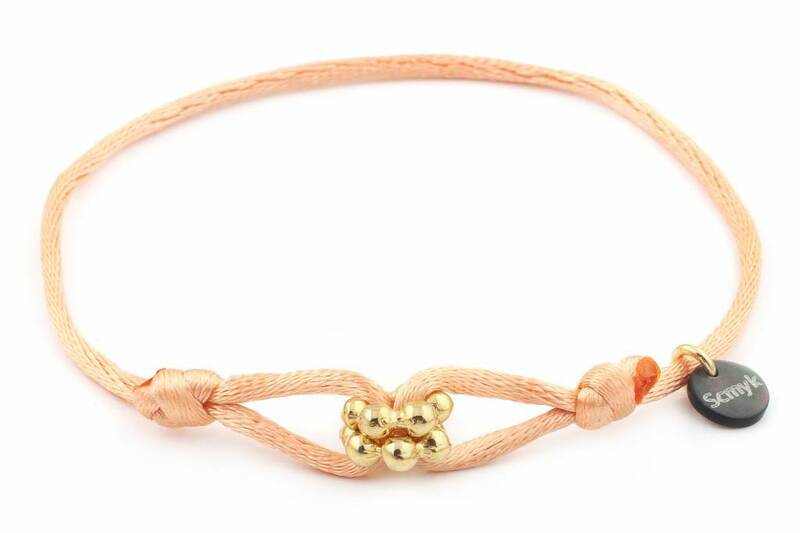 Bracelet with apricot silk cord & two gold plated "bubble" rings in the middle. Length = adjustable to all sizes. Bracelet with apricot silk cord & two gold plated "bubble" rings in the middle. Length = adjustable to all sizes.